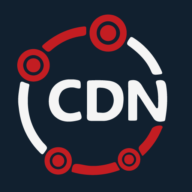 Last week we talked about how great WordPress is and how easy it is to set up, and also how that same philosophy is reflected in the WordPress integration plugins used to integrate your WordPress blog with CDN.net. We talked about one plugin, called W3 Total Cache. Today, we’re talking about Super Cache. I’m always amused by the naming schemes for software. We’ve always got to make it sound really impressive, even when it’s something that’s easy to install, will only require setup once and we’ll never even think about again. Something like WordPress Super Cache. Setting up WordPress Super Cache begins in much the same way as W3 Total Cache. We start by signing into our admin account on our WordPress blog by adding /wp-admin to our hostname, then logging in with our admin credentials. And search for Super Cache, install it, then activate it, all from this same menu. Then we want to go to settings> Super Cache, from the sidebar menu. Our next step is to enable caching, then update. Then click on the CDN tab up above, scroll to the bottom of that page, and add your CNAME, then update once more, and you are golden. Isn’t it great that there are options like this that will completely automate your integration? This is so much easier than having to manually change all of your links.